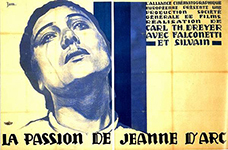 Raphael Shargel of the Providence College Department of English will present a screening and discussion of this 1928 French silent film directed by Carl Theodore Dreyer and starring Renée Jeanne Falconetti. As part of a two-week series on the work of Harper Lee, Suzanne Fournier of the Providence College Department of English will present a screening and discussion of this 1962 film directed by Robert Mulligan. The Humanities Forum hosts the keynote address of the third annual Jacob Klein Conference. Eva Brann, former dean and longest-serving tutor at St. John’s College in Annapolis, Md., will speak on the legacy of Jacob Klein. Curt Columbus, the Richard L. Bready Artistic Director of the Trinity Repertory Company; Mary Farrell of the Providence College Department of Theatre, Dance and Film; and Margaret Manchester of the Providence College Department of History will discuss the work of Harper Lee. The Humanities Forum hosts The Rev. Cornelius P. Forster, O.P. Making History Lecture Series(sponsored by The Gladys Brooks Foundation). 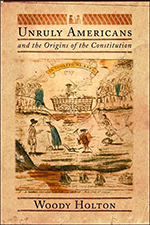 Professor Mary Sarah Bilder of Boston College Law School will speak on James Madison’s notes on the Constitutional Convention. Susan Hanssen, Associate Professor of History, University of Dallas, will speak on totalitarianism and the history of liberal arts education.